English Championship club Millwall today revealed their new home kit for the 2018/19 season. 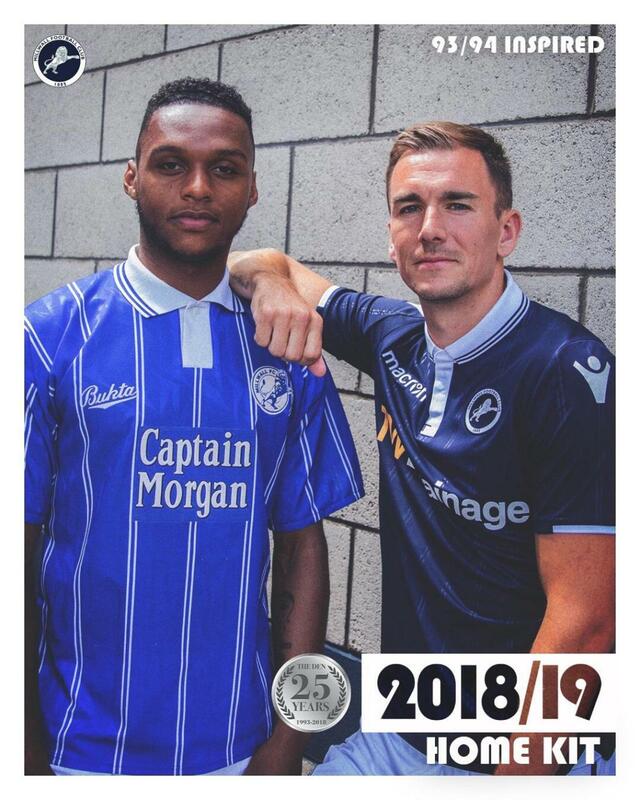 The new Millwall FC 2018-2019 strip is inspired by the jersey The Lions wore in the 1993-94 season, their first in The Den stadium. 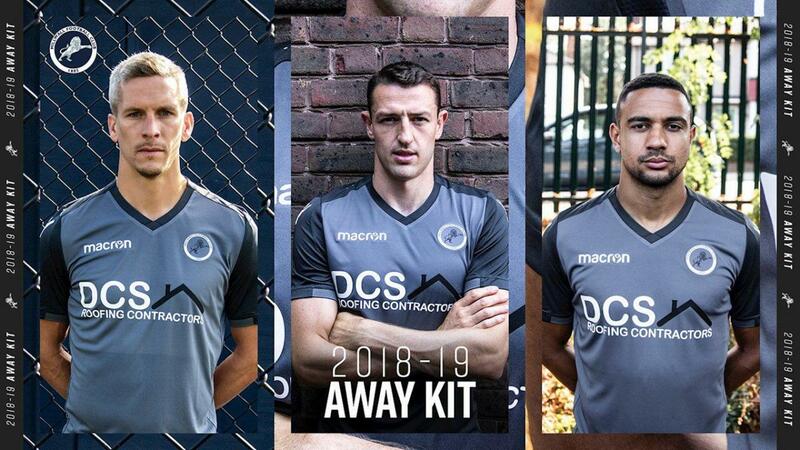 The new Millwall 18-19 home kit will be worn for the first time by the players at Saturday’s pre-season friendly against Dartford at Princes Park. Celebrating 25 Years at The Den, the new Millwall 18-19 home kit draws inspiration from the club’s 1993-94 home kit that was made by English sportswear brand Bukta. 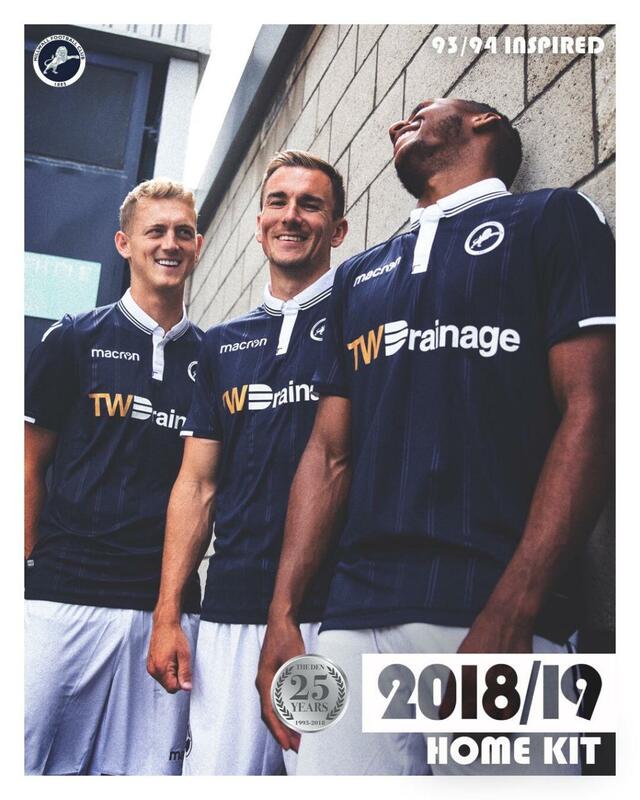 The new Macron Millwall 18-19 kit consists of a navy blue shirt with embedded stripes, white shorts and navy blue socks. The home strip will be sponsored by TW Drainage, whilst A.T.P.B. Ltd will adorn the back of the shirt. The kit has a special 25 Years at The Den motif embossed at the base of the shirt’s reverse. 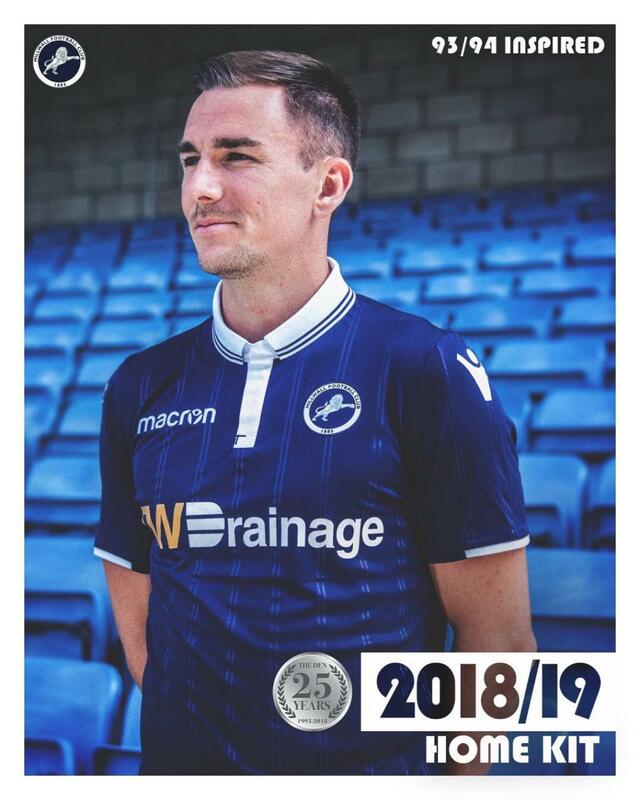 The Millwall 18-19 away shirt is grey with a dark grey collar, shoulders and sleeves. The logos on the front and sleeves of the Millwall away jersey are white, including a color-adjusted club crest on the left breast. Shorts and socks in the same color as the shirt complete the kit.